These rugs have the look and feel of 100% wool and this unique blend of fibers enables our customers to market rugs at very competitive retail price points with high margins. 100% Heat-Set Olefin “Emerlen” Tappetificio Radici Italy produces olefin yarn. Therefore, we have the ability to offer a wide variety and palette of colorations in this growing segment of the market. 100% Wool Area Rugs Radici USA offers a variety of face weights to cover the wide spectrum of popular retail price points. The Radici USA rug collections are produced in a variety of colors and designs, from oriental to transitional to contemporary to participate in all growth segments of the floor covering industry. 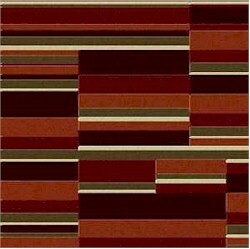 100% Wool Woven Carpet The Radici USA carpet is woven on Wilton looms from solid velvets to cut loop and loop fabrics. Although the wool woven segment of the carpet industry is small, Radici USA continues to grow and gain market share with carpets that are most competitive in color and design.